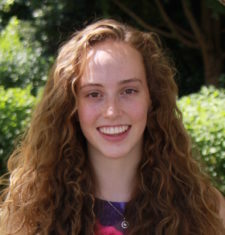 Jessica Barker is currently studying a Bachelor of Science (International) at the University of New South Wales, double majoring in neuroscience and psychology and minoring in French. Jessica is particularly interested in developmental psychology and child behaviour, with a goal to work in the area of parenting and family relationships in a future career in psychology. She is passionate about working with children, strongly believing in the importance of positive child development to shape our future society. Jessica has been a Research Assistant in the clinic since 2016, aiding in child assessment and administration as well as data collection. In 2017-18 she spent a year abroad, studying in France, where she also gained valuable experience working with problematic behaviours in children alongside her French studies in political sciences. Jessica returned to the Parent Child Research Clinic in July 2018 as Clinic Manager, working alongside clinicians to set up the new Fee-For-Service structure of the clinic. In this role she is responsible for communication and administration within and out of the clinic, including; appointment scheduling, filing and communication systems, organising and monitoring daily activity and training new staff.